Eric Horvitz is the president of the Association for the Advancement of Artificial Intelligence, as well as being an AI researcher at Microsoft. When stuck in traffic one day in Seattle, he asked his nav system to reroute him via side streets, and the result was worse than being stuck on the highway. That incident turned into four years of research and data collection on traffic patterns to create the Clearflow traffic avoidance system for Microsoft's web portal-based Live Search Maps. The point of Clearflow is to provide accurate route information that gives you the best chance to avoid traffic on highways and on the side streets. By logging data from 16,500 trips over 125,000 miles, Microsoft engineers came up with algorithms to predict traffic flow on highways and adjacent streets, the latter of which can be even more crowded than the main arteries. Using the data collected in Seattle, along with the results from highway sensors, the system works for 72 cities, and can "predict congestion based on time of day, weather and other variables like sporting events." 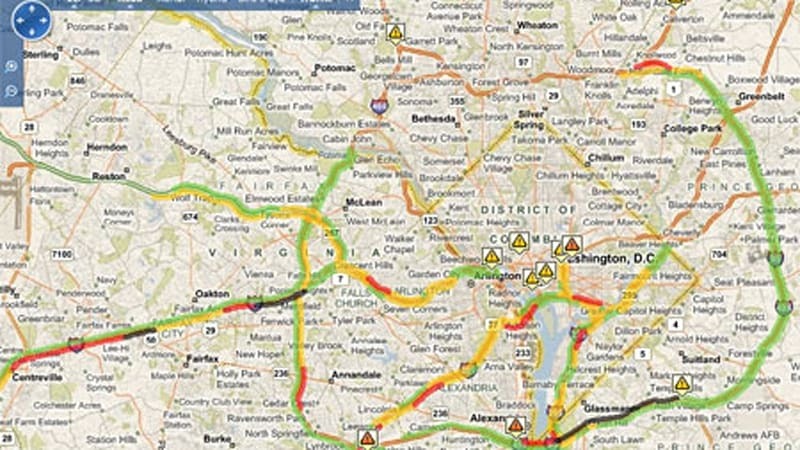 Clearflow went live Thursday, April 10, with the choice to "Choose route based on traffic".